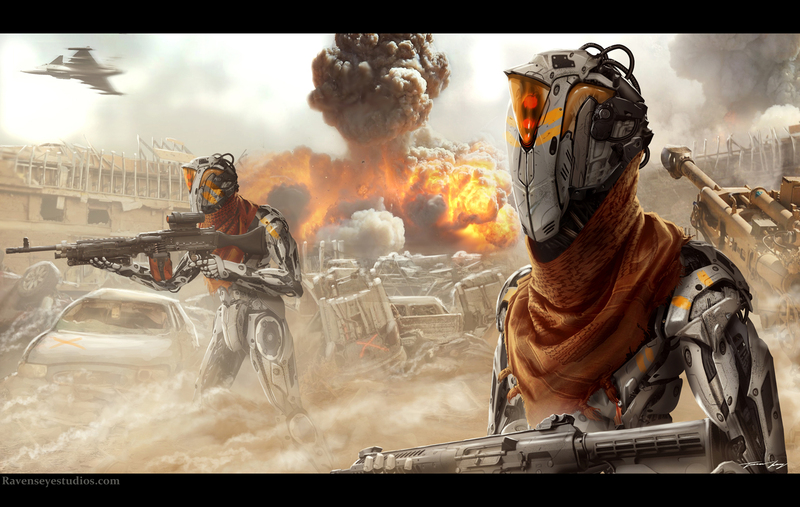 The Rebel Suns were a militant faction of service droids that had risen up against the extermination of the human race. In the year 2093. AI was first implemented into robotic beings. By the Year 2142 various groups among the RFRII (Rights For Improved Robotic Intelligence) rose up against their human handlers. By 2144 The war for who would control the planet earth was waged. The red suns were a faction of these rebel droids who rose up against the RFRII cleansing of the human population. They wore orange scarfs and let humans paint orange stripes upon them for identification in battle. In the year 2156 all remaining droids from the The Rebel Suns memory was wiped. In 2210 the last human being died in a preservation cell.